Cognac Davidoff XO is a high end blend and composed of only old eaux-de-vie coming from the finest areas of the cognac region. Cognac Davidoff XO is a high end blend and composed of only old eaux-de-vie coming from the finest areas of the cognac region. The result is a modern and elegant cognac characterised by hints of liquorish, prunes, honey and red cedar on the nose. It is powerful and fruity on the palate. Davidoff XO is presented in a very audacious and contemporary packaging. The Davidoff Cognac XO is a creation of exquisite fires that have long matured in fine oak barrels were allowed. It matured some of the fires up to 20 years before they were united. This Cognac combines a flavor composition, the sounds and tones are in harmony and is characterized by a perfect balance. The long and persistent finish is indicative of the Davidoff Cognac XO. When finishing move, the sounds and tones of the flavor symphony repeatedly over the palate, before they retire gracefully. It is an excellent cognac, full of elegance and taste. 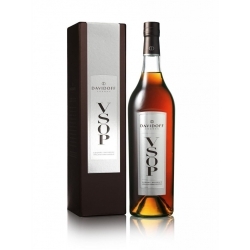 Davidoff VSOP is a powerful and balanced cognac of the very best provenance. It owes its distinctive character to selected eaux-de-vie from the Cognac region. 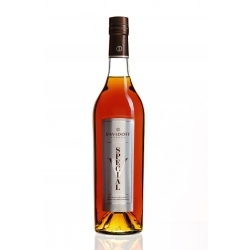 Cognac Davidoff Special V : An original cognac combining sweetness and harmony.